← Before Leaving for the Field, Should Missionaries Do Support Raising…or Support Emptying? On the one hand, it seems like the depths of the topic of proclaiming the gospel ought to be fully plumbed now that we’re 2,000 years into this enterprise called Christianity. On the other hand, of all of the Works of Mercy, this may be the one that has undergone—and, praise God, is continuing to undergo—the most significant transformation (reformation, really) among evangelicals in our time. The challenge is, this reformation in evangelical thought hasn’t, uh, quite caught up with evangelical practice. The result is that even though evangelicals’ understanding of proclaiming the gospel has really matured in the last thirty years, by and large we are still doing evangelism the same way evangelicals have been doing it since the 19th century. There’s not a lot of difference, in other words, between the evangelistic practices of evangelists from the 1800’s like Charles Finney and D.L. Moody, folks from the mid- to late-1900’s like Billy Graham and Campus Crusade, and the evangelists who are sharing the gospel today. 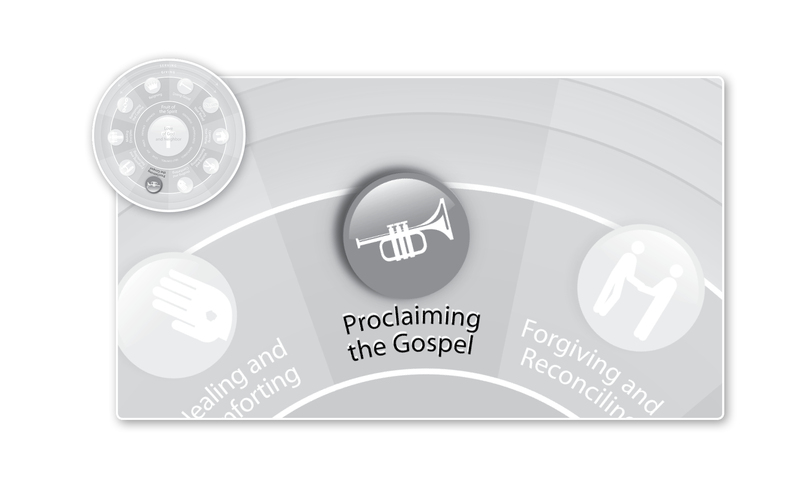 Now there’s most certainly nothing untrue about this formulation, but evangelicals from the 1950s on have increasingly recognized that the Roman Road approach to proclaiming the gospel is more a reflection of the individualism and self-centeredness of modern times than it is a comprehensive and accurate depiction of what the Scripture actually teaches–and emphasizes–about the gospel. Scripturally, proclamation of the gospel runs along an interstate highway system designed to cover a lot more distance than the Roman Road. There are, after all, 66 books in the Bible, and the Roman Road approach draws from parts of just one. And even the man who wrote Romans—the Apostle Paul—is never recorded in Scripture as having used the Roman Road approach to proclaim the gospel. What evangelicals of all stripes are agreeing today is that the gospel is far broader, richer, and deeper than the stream of tears resulting from an evangelist’s reminder of our personal sin and how our decisions about it relate to our destination in the afterlife. And as we’ll see over the next few weeks, “broader, richer, and deeper” is not shorthand for “let’s sully the purity of individual repentance with the mud of social justice.” Sadly, some evangelicals today are indeed veering off the Roman Road onto that particular dead end instead of heading up the onramp to a more comprehensive, integrated, and accurate Scriptural formulation . In the evangelical world for the most part, though, when it comes to proclaiming the gospel there’s a recognition that we’ve been looking in the wrong end of the telescope for the last two hundred years. The telescope is pointed at the right subject—Jesus—but by looking through the wrong end, we’ve shrunk the gospel down to a merely personal transaction between us and God. Religion has become primarily a private matter—a matter of the heart—and evangelism has become an invitation to accept Jesus as a personal savior. By focusing so intently on the things of greatest concern to the self-focused individual—namely, their own lives, their insecurities and anxieties, and their eternal destiny—we’ve lost focus on the totality of what God did and is doing in Christ, which is the true focus of the gospel. A focus on “making a personal decision for Christ, your very own personal savior” may be of more native interest to we self-centered moderns, but it has led many to think of Christianity like making a will: You better get one, but in terms of how it impacts your day to day life, there’s not a lot more to do than to be thankful you have one. Because it’s too hard to bother the general public (and even self-professed Christians–oops, “Christ followers”) with much else other than assuring them that they don’t need to be bothered by too much else other than settling their eternal affairs and feeling really glad they did. how he intends for us to mirror his performance to others. This entry was posted in Uncategorized and tagged Christianity, Church, Discipleship, Evangelism, Jesus, Proclaiming the Gospel, Whole Life Offering, Works of Mercy. Bookmark the permalink.